﻿ Marianita's Cottages, Camiguin | FROM $21 - SAVE ON AGODA! "Nice location, friendly staff, clean, hot water." Have a question for Marianita's Cottages? 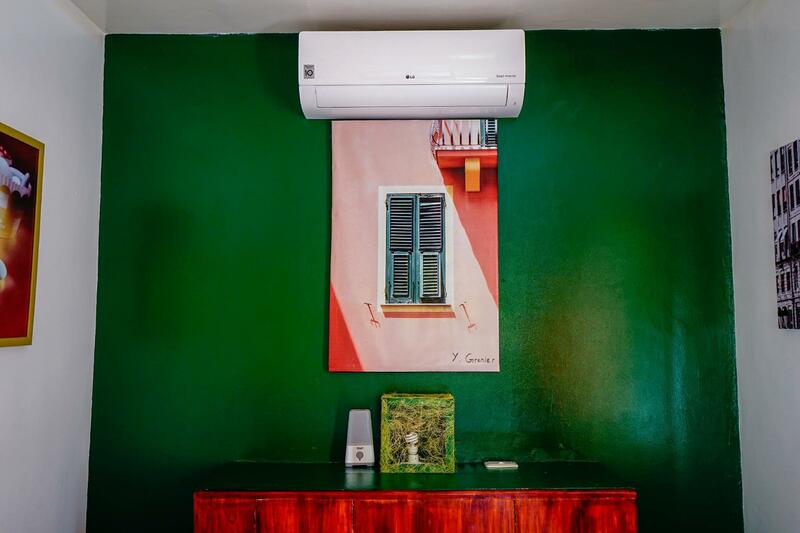 "The room was clean, well lighted, with fridge and hot & cold shower." "Our stay was perfectly comfortable." "Everything was so nice and perfect." 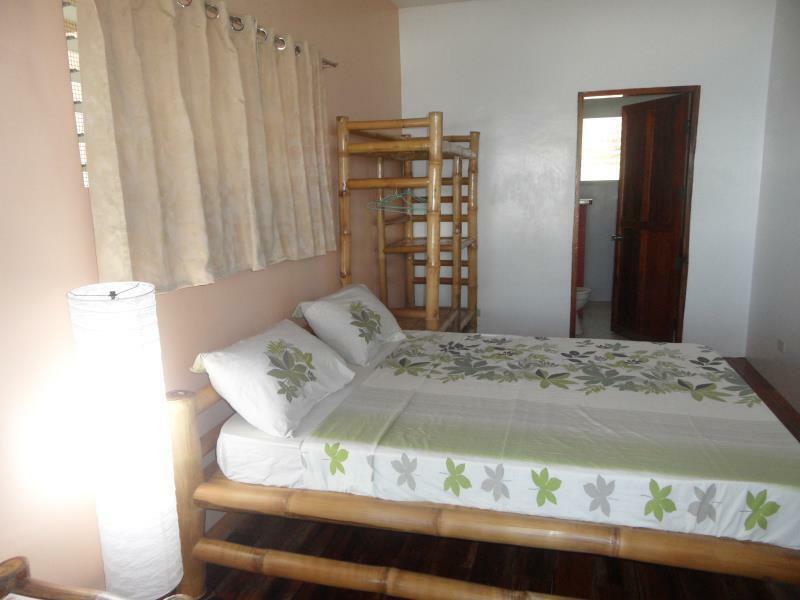 For travelers who want to take in the sights and sounds of Camiguin, Marianita's Cottages is the perfect choice. The hotel is not too far from the city center: just 7 km away, and it normally takes about 8 minutes to reach the airport. With its convenient location, the hotel offers easy access to the city's must-see destinations. The facilities and services provided by Marianita's Cottages ensure a pleasant stay for guests. Guests of the hotel can enjoy on-site features like free Wi-Fi in all rooms, luggage storage, Wi-Fi in public areas, car park, BBQ facilities. Step into one of 4 inviting rooms and escape the stresses of the day with a wide range of amenities such as television LCD/plasma screen, linens, mirror, sofa, wooden/parqueted flooring which can be found in some rooms. The hotel offers many unique recreational opportunities such as private beach, massage, garden. With an ideal location and facilities to match, Marianita's Cottages hits the spot in many ways. "Me and my sister were very happy and satisfied with our stay..."
Pros: genuinely smiley & friendly staff, location is only 10-15 minutes away from the airport via motorbike (habal-habal), accessible to public transpo, walking distance to the White Island port. beach is not conducive to swimming but I found it so relaxing to just sit at the garden and listen to the waves. I stayed in a beach front room that’s nicer in actual than its photos. Walls are thin and I can hear people talking at times but nothing too disruptive. I still had a good sleep. Stayed for just a night and felt safe staying here solo. Very affordable place to stay, staff were friendly and extra helpful, beachfront resort (some rooms face the ocean while others face the garden). It's clean and has a warm shower. You can order breakfast but other than that there is no restaurant on site but about 2-3 minutes walk are a couple of good restaurants, one of which has a breakfast buffet for only 160, it's called checkpoint. Luna right beside it had great Italian food. So, even though marianitas doesn't have a restaurant, you don't need to go far to find food choices. Has a pretty great sitting area in front where you can listen to the waves. I stayed at the beachfront room, it was quite spacious with a big bathroom and very clean. Everything was ok, only thing is l was charged 30 pesos for the instant coffee that is placed near the kettle and looks like an offer. Pros: very helpful staff, quiet, suite is a large space. Good location for trips around the island and local restaurants Cons: like most of Camiguin, the beach is not (by Philippines standards) top quality. Basic housekeeping in the bathroom/room could be done on a daily basis. Rather slow service at breakfast - best to pre-order. It is just a bit too far from the port. Still, it is fine since we get to get to suroy-suroy more of Camiguin Island. You can rely to the staff for being accommodating. They could even offer their pick-up service to get you to Benoni port back to Cagayan de Oro. Being at the beachfront, the White Island can be seen from the garden. We got surprised about the automatic lights that brightens up at night as you pass along the entrance/exit as well as upon entering the room. Good wi-fi connection at the veranda up to the garden. Not part of the review: That time, I don't wanna leave the island yet. 3 days and 2 nights spent is not enough for us! Room was clean. Spaced perfect. Bed and pillows were comfortable. Not the usual rockhard you get in budget places but also not too soft. Aircon silent and smellfree! Fan worked well too. Hot water in shower that had sufficient pressure to do the job. Staff very friendly and accomodating. We had no problem with anything. Breakfast and coffee great. No problem to get food heated of you have take away from other place. This is a place you wish every resort would be copying. You feel welcome and taken care of. The room is spacious enough for the two of us and the floors in and out of the room are both clean. They have a relaxing view of the beachfront as well. The staff are very accommodating and friendly as well. Marianita's Cottage is a clean cottage , accessible by jeep and tricycle. The free breakfast taste ok but it can be improved to taste a lot better. The mattress is hard and needs replacement to allow guest/s a good nights sleep. No restaurant to eat so need to go out of your place to eat somewhere . The water supply is intermittent so you have to shower fast. The owner is not friendly and should be warm enough to welcome the guest/s . Good to stay for a day tour or overnight. The best thing about this place is the nearby cottage PARAS . Everything was good, really value for money. Nicely cleaned beaches and well maintained gardens. Location is only a few hundred meters from Checkpoint, Yumbing. Airconditioning was perfect temperature, and very quiet! Water pressure was not so good, but it is not really very bad. My only concern was that although the mattress and pillows were very comfortable, and the sheets were white and very clean; there were aparently ants under the mattress. I don't knoe but I'm guessing the previous guests ate on the bed and the staff just changed the sheet instead of dusting the mattress. Our bites are really bad right now. It's too bad, but I hope the management sees this review and make sure the matress are perfectly cleaned before the next guest. I loved the place, feel so homey, not crowded at all and the receptionist is very accommodating. The room interior is so cozy and I loved the bed, so soft as well as the pillows. We were still in Marianita's when TS Henry hit the island and fortunately we didn't feel that we're in a verge of danger. I just noticed what other people had noticed as well in the room, the ants near the closet. Hope they can do something about it. This is in a good spot with access to beach front....cottages are excellent. There are 2 cottages facing the sea. The only problem is ( no fault of management) is if you have noisy neighbours...for part of our stay we had a family group staying next door who started at 5.30in the morning and went until 11 at night....loudly.....this was out of our control and managements control.... The Only gripe ( besides the noisy neighbours and that was just bad luck)is they charge for satchets of coffee that are left in the room...seriously??? This place is upper middle market and they overcharge for sachets of coffee? ?...Come on management address this issue..it’s the little things, you have great staff...just need to tweak your management policies a touch....Nevertheless we would stay here again. The room was clean, well lighted, with fridge and hot & cold shower. Our stay was perfectly comfortable. Had a near restaurants. The view was overlooking the white island. Should have a restaurant for tourist to order foods. Stayed here in February, 2018 with my girlfriend Dindin in a Beachfront cottage. Beautiful cottage with large parch with seating and table for 4, light and power outlet. 20m to the beach and views of White Island. 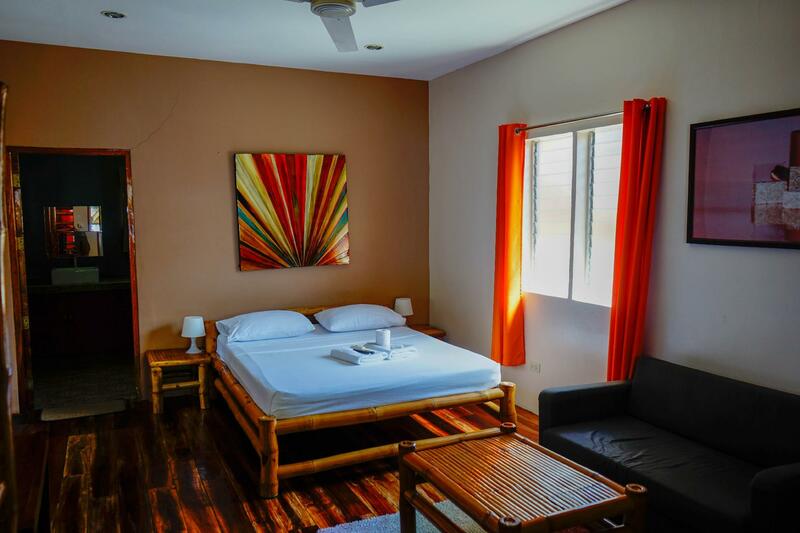 Large room with king bed and beautiful bamboo furniture, cable TV and good WIFI. Door and windows have screens for insects, so you can open the windows and turn on the ceiling fan for a sea breeze cooled room at night and you can hear the gentle ocean waves. If that’s not cold enough for you, you can use the modern AC with remote control. Bathroom is huge with an excellent shower. Location is excellent, with the entrance on the main circumference road which only has very light traffic. Stores, restaurants and bars within walking distance or you can get a tricycle for very cheap rates. Staff were brilliant, very friendly and helpful. They have top quality scooters for rent at very reasonable rates but I forgot my license, so I could not rent one. Make sure you bring your license as the main road is excellent, helmets are mandatory and people drive very sensibly. Camiguin is beautiful with so much to see and do. Liam, Ireland & Dindin, Iligan City. the best staff! helped us with everything and made us feel at home. the rooms are beautiful and clean. nice location, some restaurants and bar in 7-10 min walk distance. and the beach right in front of the rooms is private and fun. we had a wonderful time, very recommanded! Really loved our stay in Marianita's Cottages! The whole place isn't really big compared to other hotels but is really very charming with artsy but functional interiors. Our room was big and comfortable enough for two people, the bed and linens are clean and soft, and the bathroom is exceptionally clean with hot water!!! 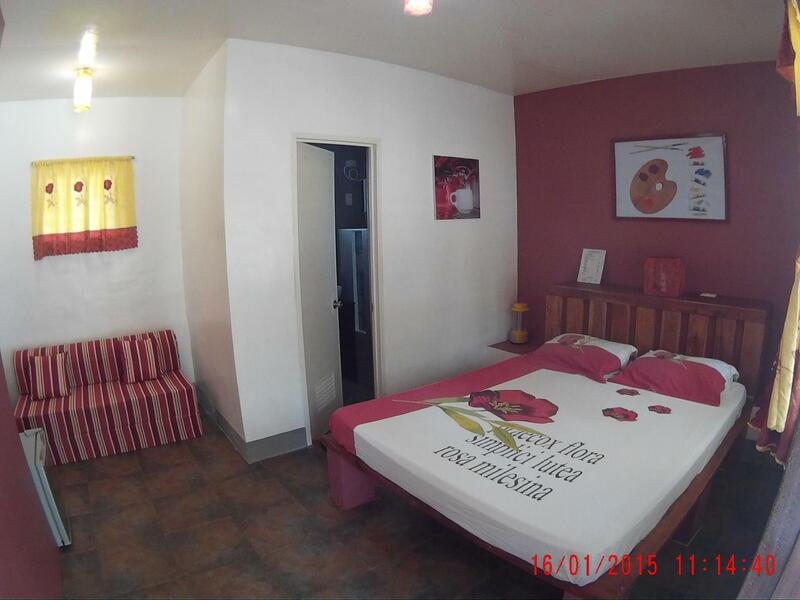 Definitely got the value for our money, I recommend it to all budget travelers in Camiguin! Also stayed an hour past our check-out time because our island tour extended but the lady-in-charge that day was considerate enough to let us stay for a while to clean up and pack our things. Staffs are always helpful and accommodating.